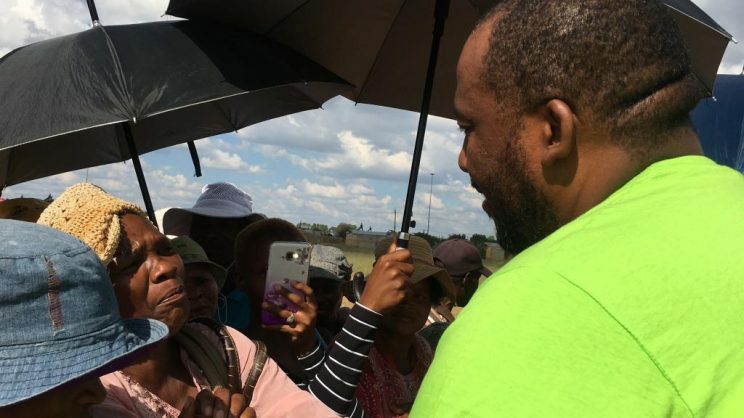 Patriotic Alliance leader Gayton McKenzie says government should be given the bulk of the blame for not properly regulating the movement and activities of foreign nationals. I was in Alexandra on the Monday evening of 2008 when the first big incident of xenophobic violence broke out. I helped a lot of foreigners in the aftermath, and I remember getting a frantic call from Education Minister Angie Motshekga to assist them in educating our local communities about how wrong it is to attack foreigners. We travelled and informed our communities. Everyone was hard at work restoring peace. There have been many further incidents after the Alex attacks. Many innocent black foreigners have lost their lives. I say black, because there is clearly a distinct difference in treatment from black South Africans in as far as foreigners are concerned. We have many foreigners of a lighter hue who go about their business every day without any threat of imminent attack, without constant police harassment and the demanding of bribes. Some of these white foreigners are even part of organised crime and shoot each other regularly, particularly in the East Rand of Gauteng. But they have little reason to fear being called ‘makwerekwere’. Local township residents and their communities’ attitudes are blamed when this xenophobic violence flares up. But have we taken a step back and asked what drives our people to commit murder and violence against foreigners? Have our leaders learnt anything from the past 20 attacks against foreigners? What measures have been put in place to prevent them from happening again? I blame our leaders for the recent xenophobic flare-ups. The local township business owner has become near extinct, totally outmanoeuvred by Somalians. The general shortage of jobs and money also make them an attractive option for local women looking for security. We have more Somalian business people now than local ones. They started with tuck shops, then moved to owning taverns and are now entering the cash loan business. Our business people don’t possess their skill and financial power. Our local business people look on day after day and see how local family businesses are being ruined. They look on to witness how these foreigners start shop after shop. The Somalians don’t hire local people. They hire their own. They don’t reinvest the money in the townships. They send it home. They often don’t have the necessary paperwork to legitimately operate their business, which in turn means they don’t contribute to our tax base. All blame, though, should go to the leadership of this country, not the foreign migrants. Let me offer a personal example of how they have failed dismally. I recently registered a business in China. It was a mission for me to do so as a foreigner. They required bank letters, stamps and a host of other things to allow me as a foreigner to own a business in China. I even had to get a police clearance certificate in the country of my birth. After getting everything in order, great was our surprise when being told we could still not operate in the area we preferred, because it was reserved for locals only. We were livid. We experienced the same recently in Dubai when we tried opening a business there. The Emirati government was even more sophisticated in their dealings and told us we were only allowed in what they called their Special Economic Zone. Many other countries protect their locals too. They decide what foreigners should pay locals, making sure their people don’t get exploited. In China and Dubai, we felt disadvantaged and frustrated, but admired how they were making sure local industry does not get overrun by foreigners. Our leaders in South Africa allow just about anyone to come into the country to open a business. They don’t care how it will affect the locals. They don’t even have a database of how many Somalians operate businesses here. This is not where the frustration stops. These Somalians don’t come here with their own hospitals. They don’t use private healthcare – they use the already overstretched public hospitals. The line is already long for our people at these clinics and hospitals, and it becomes longer still with every call made by the Somalians to their relatives back home to come to the land of milk and honey. We have been helped by foreign countries during the struggle. We should be eternally grateful. But eternally grateful doesn’t mean to our detriment eternally. There is no sign that the situation will get better for our local people. Somalians show no loyalty to our country. They take it home. Go to any township and see the mushrooming of kids who look Indian. Those girls are applying for child grants, another burden on our finances. A further question needs to be asked by those who constantly refer to the help we got during the struggle. Were we helped to come and see how they take our jobs, our business opportunities? If that is the case, then it wasn’t help, it was an investment. There are many foreigners who come into South Africa legitimately. They contribute towards the fiscus. They hire local people. They don’t burden the already stretched health industry. But we are expecting our people to clap for their own demise while we sit comfortably in Sandton being served by a Zimbabwean chef and a Mozambican gardener. The xenophobic attacks disturb our middle class existence. Government should urgently intervene. I am not for any attack on anyone. I am for the people of Alex. I am for the people in every township. I am running for the position of premier of the Free State. I undertake to, within one week, close any foreign-owned business operating illegally in the province. Enough is enough. We need to protect our people.